Adolescence is a critical time for spinal health. The postures and habits of your children from 10 to 15 years of age will determine the health or ill health of their spine for the rest of their lives. Girls grow rapidly from 10 years of age (year six) to 16 years of age (year 11). Boys grow from 12 years of age to 18 years of age. The decisions they make about how they sit at desks, work with computers, carry their school bags, sit and stand will determine the extent of the curves in their spines. This will determine if they will have spinal pain later in life. 15 per cent of adolescent school children have curvatures outside the range of normal. Parents often don?t notice these curves until they have become advanced and even then do not know what to do about them. Medicines usual attitude is to wait and see; unfortunately the end result of waiting can be life threatening surgery to correct the problem by inserting a steel rod into the spine (Harrington rods). Chiropractics role in treating curvatures of the spine is pro-active not reactive as is medicines. By acting early and preventing the curvature while the spine is growing the curves can be prevented from getting worse. The simple principle of prevention is better than cure applies. Our doctors first measure the extent of the curve by X-ray and digitised images on a specialized computer program. Prescription exercises based on Pilates principles are supplied with specific stretching and strengthening actions. Regular checking to determine progress is completed. We have hundreds of adolescents that have healthy spines thanks to early intervention. Remember ?as the twig is bent, so grows the tree?. Clinical Pilates allows the individual to build a strong abdominal core, from the deep inner layer of muscles to the more superficial layers. Core strength combined with pelvic stability is the origins from which a strong mid section of the spine is built. This stabilises the torso and enables stable and firm movement to flow. Patients commencing a Clinical Pilates program require close supervision. 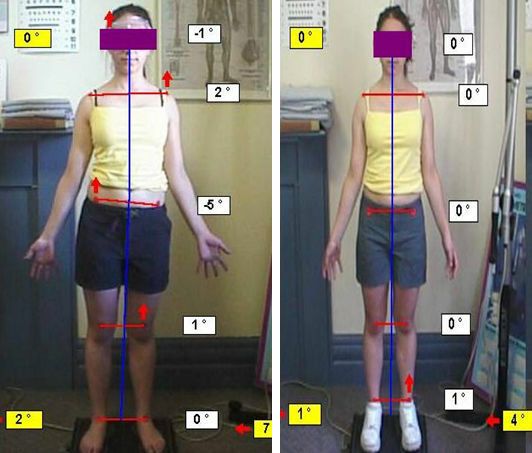 This ensures the patient masters the techniques of Pilates while a specific program for their rehabilitation is devised. As the patient progresses through the sessions, movements which once seemed clumsy and awkward are performed with co-ordination and ease. At this point the patient can progress from supervised sessions to semi-supervised sessions and finally to unsupervised sessions. Technique and exercise upgrades are encouraged regularly to maintain progress. Programs are eventually progressed to high level floor work and home exercise programs. Clinical Pilates improves core stability (strengthening the stomach and back muscles). This increased core stability improves your overall body strength as well as aiding in the recovery of spinal injuries and reducing this risk of injury. At our clinic we have a Pilates studio where you will exercise under the supervision of rehabilitation trained Chiropractors. The Pilates exercises focus on your core stability with creative and varied exercises on the floor, fit ball and specialized Pilates equipment. Our highly trained Chiropractors will assess you and design an individual program to suit your needs. So at all times you can feel comfortable in the knowledge that the exercises are safe and appropriate for you. The big difference between our Pilates program and those Pilates classes at gymnasiums is at gyms there are large classes where everyone performs the same exercises, whether they are appropriate for your level of fitness or not. At our clinic the program is tailored for each individual at their level of fitness ? so you will always receive an appropriate level of exercise for YOU, which you can perform in the comfort of your own home. We also work with local Pilates studios where you can join in with groups to aid in your motivation to complete your program. You are reassessed regularly to determine how your how strength has improved and provided with more challenging Pilates procedures, to insure your rehabilitation continually improves. The Temporomandibular Joint (or TMJ) is the joint that connects the skull with the jaw. The TMJ is a complex joint that is connected by muscles inside and outside the jaw. TMD describes a variety of conditions that affect jaw muscles, temporomandibular joints, and nerves. TMD can be associated with chronic facial pain. Symptoms may occur on one or both sides of the face, head or jaw, or develop after an injury. TMD affects more than twice as many women than men and is the most common non-dental related chronic oro facial pain disorder. Normal function for the TMJ includes chewing, swallowing, yawning and talking. Certain tasks, either mental or physical, cause or aggravate TMD, such as strenuous physical tasks or stressful situations. Most discomfort is caused from overuse of the muscles, specifically clenching or grinding teeth (bruxism). These excessive habits tire the jaw muscles and lead to problems, such as headaches or neck pain. Additionally, abnormal function can lead to worn or sensitive teeth, traumatized soft tissues, muscle soreness, jaw discomfort when eating, and temporal (side) headaches. The muscles which control the jaw can refer pain to the head, face and upper neck. Headaches can be caused by TMD, especially in and around the ear, eye, sides and front of head. An earache without an infection. Jaw pain or soreness more prevalent in the morning or late afternoon. Jaw pain when you chew, bite or yawn. Clicking when opening and closing your mouth. Difficulty opening and closing your mouth. Locked or stiff jaw when you talk, yawn or eat. Sensitive teeth when no dental problems can be found. A thorough assessment of the temporo-mandibular joint and related areas by an experienced Chiropractor is indicated for those with symptoms of TMD. Both intra and extra-oral assessment is required to thoroughly assess the TMJ. Chiropractic: Many TMJ symptoms are caused by tension and imbalances in the muscles which control the jaw. Chiropractors are trained at identifying these imbalances and correcting them. Common techniques include intra and extra-oral trigger point release and massage and adjustment to the TMJ and cervical spine. Self care: Home exercise programs are aimed at assisting recovery. A home exercise program commonly includes stretches for tight structures, self massage techniques and heat/cold application as directed by your Chiropractic. Other self care tips can include resting your jaw. Rest relaxes your jaw muscles and takes the pressure off your joint. Practicing good posture, eating soft foods, avoiding chewing gum and reducing stress will also relax tense muscles. Stress Management: Stress, teeth clenching and poor posture cause your muscles to tighten up. This tightening pulls your upper and lower jaws closer together, putting pressure on the TMJ and sometimes wearing down your teeth. Managing daily stress is one of the best ways to restore harmony between your muscles and joints. Occlusal Splint: A clear plastic appliance that fits over your top or bottom teeth and may be recommended by your doctor to establish harmony between your muscles and joints. It works by keeping your upper and lower teeth slightly apart, thus relaxing the muscles and reducing the pain. A splint can also change jaw posture, enough to stabilize some bite problems and reduce pressure in your joints. It may not be easy to get used to wearing and caring for your splint, but it is an important treatment that may last for 3 months or more. Bite Correction: If your TMJ disorder has caused problems with how your teeth fit together, you may need treatment to correct your bite, although this is seldom necessary. Bite problems may be corrected either by orthodontic wiring, or by placing a crown or filling onto your teeth. Essendon Chiropractic can refer you to occlusion specialists. You may need a combination of treatments, depending on the severity of your case as decided by your Chiropractor. Scoliosis is a disorder that causes an abnormal curve of the spine, or backbone. The spine has normal curves when looking from the side, but it should look straight when looking from the front. People with scoliosis develop additional curves to either side, and the bones twist on each other like a corkscrew. Scoliosis is about two times more common in girls than boys. It can be seen at any age, but it is most common in those over 10 years of age. In most cases, the cause of scoliosis is unknown (idiopathic). This type of scoliosis is described based on the age when scoliosis develops. If the patient is less than 3 years old, it is called infantile idiopathic scoliosis. Scoliosis that develops between 3 and 10 years of age is called juvenile idiopathic scoliosis, and patients that are over 10 years old have adolescent idiopathic scoliosis. Neuromuscular: In this type of scoliosis, there is a problem when the bones of the spine are formed. Either the bones of the spine fail to form completely, or they fail to separate from each other. This type of scoliosis develops in patients with other disorders including birth defects, muscular dystrophy, cerebral palsy, or Marfan’s disease. This type of scoliosis is often much more severe and needs more aggressive treatment than other forms of scoliosis. If you think you have scoliosis, you can attend our chiropractors for an examination. The chiropractor will ask questions including if there is any family history of scoliosis, or if the patient has had any pain, weakness, or other medical problems. The examination involves looking at the curve of the spine from the sides, front, and back. The patient will be observed from the waist up to see if any abnormal curves are present. The patient will then bend over trying to touch their toes. 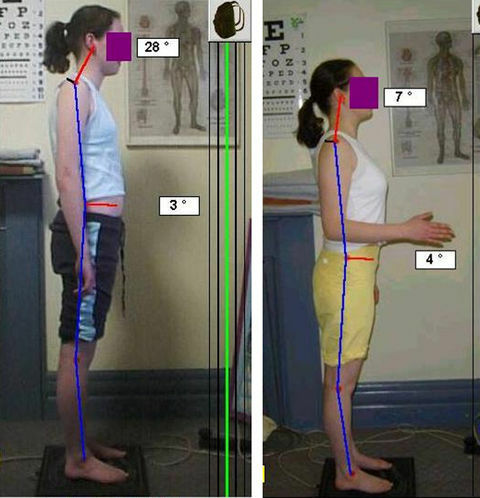 The chiropractor will also look at the symmetry of the body to see if the hips and shoulders are at the same height. Any skin changes will also be identified that can suggest scoliosis is due to a birth defect. The more growth that a patient has remaining increases the chances of scoliosis getting worse. As a result the chiropractor may measure the patient’s height and weight for comparison with future visits. Other clues to the amount of growth remaining are signs of puberty such as the presence of breasts or pubic hair and whether menstrual periods have begun in girls. If the chiropractor believes you have scoliosis, you could either be asked to return for an additional examination in several months to see if there is any change, or the chiropractor may take x-rays of your back. If x-rays are obtained, the chiropractor can make measurements from them to determine how large of a curve is present. This can help decide what treatment if any is necessary. Measurements from future visits can be compared to see if the curve is getting worse. Background The combination of spinal manipulation and various physiotherapeutic procedures used to correct the curvatures associated with scoliosis have been largely unsuccessful. Typically, the goals of these procedures are often to relax, strengthen, or stretch musculo tendinousand/or ligamentous structures. In this study, we investigate the possible benefits of combining spinal manipulation, positional traction, and neuromuscular re-education in the treatment of idiopathic scoliosis. Methods A total of 22 patient files were selected to participate in the protocol. Of these, 19 met the study criterion required for analysis of treatment benefits. Antero posterior radiographs were taken of each subject prior to treatment interventionand 4?6 weeks following the intervention. A Cobb angle was drawn and analyzed on each radiograph, so pre and post comparisons could be made. Results After 4?6 weeks of treatment, the treatment group averaged a 17°reduction in their Cobb angle measurements. None of the patients’ Cobb angles increased. A total of 3 subjects were dismissed from the study for non compliance relating to home care instructions, leaving 19 subjects to be evaluated post-intervention. For the price of a standard consultation ($45) our doctors with 25 years of clinical experience will assess your scoliosis, clinical history and X-Rays. They will provide an opinion whether their specialized conservative treatment and exercise program can reduce the scoliosis and prevent possible surgical intervention. Our doctors work closely with orthopaedic surgeons to provide a comprehensive care plan. Ring our clinic on 9326-1755 and arrange an appointment. Forward head posture is a clinical entity that has been identified by multiple authors as a significant factor in a variety of musculoskeletal pain syndromes. Forward head posture is the most common cause of the tension headache syndrome. Forward head posture is an increasingly common problem of the 21st Century. Adolescents develop forward head posture from extended computer use, especially laptop computer use. Extended usage of computers leads to the head moving forward of the shoulders resulting in the anterior (front) muscles of the neck becoming weak. This type of posture puts stress on the posterior neck and upper back muscles resulting in increased tension. This posture over time leads to chronic pain and headaches in patients as young as their late teens. Posture influences a person’s ability to breath. The forward head posture encourages shallow breathing because the ribs and diaphragm can no longer move properly. As a result, the accessory respiratory muscles connecting from the neck to the upper ribs – normally used as a safety reserve during vigorous exercise – become activated. This creates abnormal tension in the muscles and soft tissues, and what normally would be relaxed becomes tight and what would normally tighten and relax becomes inactive and weak. Poor posture can change muscle tissue and cause tightness, pain and tenderness, as well as weakness. Characteristic symptoms may be present according to which muscles are involved (i.e. trigger points, scalene syndrome and pect minor syndrome). Many rehabilitation specialists and neurologists believe that when injured our body adopts certain movement patterns where some muscles become overactive and tight while others become inactive and loose. These patterns are related to the normal development of motor control. What has been found is that when injured the earlier more primitive movement patterns dominate while the later more complicated activities become inhibited. An extreme example of this feature is a person who has had a stroke – there is a well recognized pattern of certain muscles becoming tight while other muscles become weak. The characteristic pattern for postural dysfunction in the neck and upper back has been called an Upper Crossed Syndrome. There is a classic pattern of chin forward posture, tight trapezius muscles and weak deep neck flexor muscles. Faulty posture can trap or irritate nerves. Local mechanical irritation can cause nerves to fire inappropriately – creating an – Abnormal Impulse Generating Site – in the same way rubbing the insulation off an electrical cable may cause a short circuit. For example, slouching may cause pain and a burning sensation in the middle back – Notalgia paraesthetica -because the nerves travel along a curved path through the muscles. If you change the length and alignment of the muscles, the nearby nerves may become vulnerable to physical stretch and become irritated. Poor posture is a very common underlying cause of spinal dysfunction. The spine has a rich nerve supply and poor function can give characteristic symptoms: disturbances in the upper cervical spine may contribute to headaches and balance disorders, disturbances in the upper back area can cause headaches, chest discomfort and pins and needles in the hands i.e. T4 syndrome. One aspect of the nervous system that is often forgotten is that the brain relies on high quality information (sensation) coming back from the muscles and joints of the body. With poor posture the spinal joints become stiff, especially in the upper back region, and begin to provide less ‘input’ back to the brain. With less input the brain can gradually lose awareness of that area and begins to think of that area as a solid block rather than individual segments. This change of awareness leads to a further loss of movement. Poor posture can lead to tissue creep. That is when the collagen fibres in the inner fabric of ligaments stretch and deform – similar to how plastic gives way under stress. Once this change has happened, it is difficult for the tissues to return to their normal length. Tissue creep may occur after long or repeated loading – it can start after as little as 15 minutes of slouching. This commonly effects people who spend hours working in the one position. Children who play computer games for long periods are at risk of tissue creep. This common problem can be avoided by recognising the forward head posture in adolescents and retraining their muscles with advice from Chiropractors trained in rehabilitation. In the graphic on the left, the first sketch (shown top-left) represents “perfect” head posture. A line dropped from the center of the ear would land directly in the center of the shoulder. The photograph on the right demonstrates someone with moderately severe forward head posture. For every inch your head moves “forwards”, the head “gains” 2.5 kilos in weight, as far as the muscles in your upper back and neck are concerned, as they have to work harder to keep the head (chin) from dropping forwards onto your chest. This forces the muscles that raise the chin to remain in constant contraction, putting pressure on the nerves at the back of the skull and reduces normal venous drainage from the muscles of the skull. This causes headaches at the base and front of the skull, and even mimic sinus headaches! Persistent forward head posture (a.k.a ?hyperkyphotic posture?) puts compressive loads upon the upper thoracic vertebra, and is also associated with the development of Upper Thoracic Hump, which can evolve into Dowager Hump when the vertebra develop compression fractures (anterior wedging). A recent study found this hyperkyphotic posture was associated with a 1.44 greater rate of mortality. It’s not uncommon to observe 2″ of anterior head placement in new patients. Would you be surprised that your neck and shoulders hurt if you had a 10 kilo watermelon hanging around your neck? That’s what forward head posture is doing to you! Left uncorrected, FHP will continue to decline. Chiropractic can be very effective, especially in the hands of a chiropractic rehabilitationist. Our specialty is in reversing joint fixations (subluxations) and in re-invigorating the muscles that retract the head. Whether it is a sprained ankle at your netball game, or a dislocated shoulder from football, a twisted knee at basketball, or even a bit of a tennis or Golfers elbow, our chiropractors can provide you with assessment and treatment of any injury to get you back to your sport. We have X-Ray facilities on site and are able to bulk bill under Medicare so we can accurately diagnose your condition. We regularly liaise with local GPs and Orthopaedic Specialists to arrange rapid referral if necessary. If your injury is more severe and needs CT/MRI/ or Ultrasound scans, we can also help to arrange it. Our rehabilitation trained Chiropractors are experts at analysing your posture and its deficiencies that lead to development of chronic sport injuries. By correcting these deficiencies rehabilitation success with the most chronic of sports injuries can be achieved. Chiropractors are skilled at analysing movement, and can also help you taping, or bracing needs to ensure a safe return or even a safe start into an exercise program.